I've built a solid Blu-ray collection, so I'm glad to see Sony is still committed to making great disc players. I've built a solid Blu-ray collection, so I'm glad to see Sony is still committed to making great disc players. The Sony BDP-S6700 won't play Ultra-HD 4K Blu-ray discs, but it will upconvert standard Blu-ray and DVD discs to near-4K quality for playback on your Ultra HD TV. And this versatile player also offers popular streaming video services and delivers serious picture detail to a 1080p screen. If you're connecting to a home theater audio system, the BDP-S6700 supports high-resolution movie sound formats, like Dolby® TrueHD and DTS® HD. It will play CDs, SACDs, and music files from a thumb drive. Plus, it offers a wide variety of streaming audio options. These days you can watch many of the best shows, movies, and even live sports on streaming services. And Sony has you covered. An extensive library of over 300 online apps includes Netflix®, Hulu®, Amazon Instant Video, and MLB.TV. 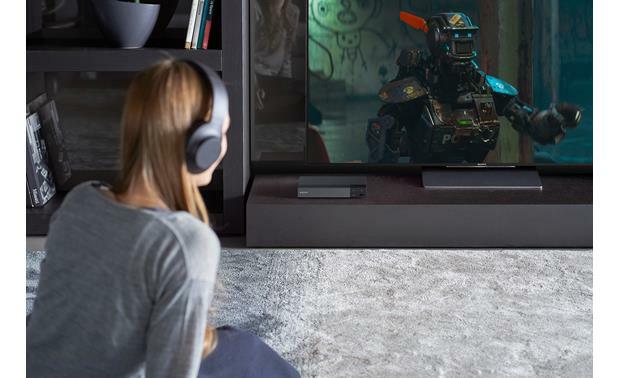 Dual-band Wi-Fi gives you a strong, quick connection, and Sony's noise reduction technology improves the quality of your streamed videos. On top of that, Miracast™ technology lets you “mirror” what you see on your smartphone or tablet on your TV's big screen. Send sound from the Sony BDP-S6700 to a pair of wireless Bluetooth headphones (not included) for late night viewing. If you're a Spotify® Premium subscriber, Spotify Connect lets you play your albums and playlists through your connected speakers. Or you can download Sony's free SongPAL™ app for iOS® or Android™. It gives you wireless access to the music stored on your phone, Pandora® Internet radio, and even music stored on a DLNA-connected server. The BDP-6700's built-in Bluetooth lets you send the sound of your movies, shows, and other media to a pair of Bluetooth headphones. This helps with late night binge-watching. You can catch all the dialogue and hear all the loud, exciting sound effects without waking everyone up. Seems to be an excellent device for the price. Just wish more Blu-Ray players had a console that displayed disc/track info. If using this for CDs: Turn Control for HDMI OFF in the settings if you don't want the TV turned on automatically. Does this hook to surround sound system? Note: The BDP-S6700 plays Region A Blu-ray discs and Region 1 DVDs. Blu-ray Disc uses the Advanced Access Content System (AACS) to prevent unauthorized recording of copyrighted material. SACD: Super Audio CD use a technology called Direct Stream Digital (DSD) to convert music into a digital signal that can be stored on a disc. Compared to the traditional PCM method (the technology used for CD), DSD offers a much higher resolution by following more closely the original waveform of music. With a frequency response of over 100kHz and a dynamic range over 120dB across the audible frequency range - some 64 times higher resolution then CD - Super Audio CD offers music reproduction that reveals details you just cannot hear on a normal CD. 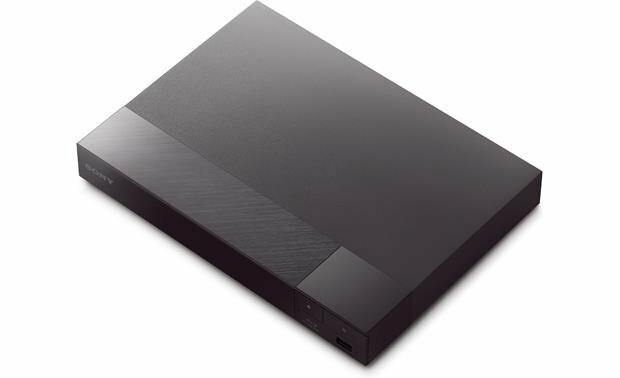 Compatible Audio/Video/Photo Formats: The Sony Blu-ray disc player supports playback of the following audio/video/photo files recorded on BD-R/RE, DVD+R/RW, DVD-R/RW, and CD-R/RW discs; plus compatible USB memory devices. HDMI Output: The BDP-S6700's HDMI output simplifies A/V connections by carrying video and digital audio in one cable. The HDMI resolution can be fixed at 480i, 480p, 720p, 1080i, 1080p, 4K, or set to Auto (which selects the highest resolution accepted by your television). 4K UHD Upscale: Experience your favorite movies in up to 4x the detail of Full HD with 4K upscaling. Connected to a compatible 4K TV, an advanced video processor inside the Blu-ray player converts standard video into a signal nearer to 4K resolution (3840 x 2160). With 8 million pixels in the picture, you get sharper, more detailed images, and the higher image quality lets you sit closer to the screen. 4:4:4 Color Subsampling: The Blu-ray player supports 4:4:4, 4:2:2, and 4:2:0 color subsampling. An "Auto" setting detects the connected TV type and switches to the matching color setting. With 4:4:4, luminance (brightness) and chroma (color) are sampled at the same rate, resulting in an RGB color palette as big as the video sampling rate for a video image with more total colors, plus greater color accuracy and detail. 24p Output: Movies are typically recorded on film with a frame rate of 24 frames per second. When a movie is transferred to Blu-ray Disc at 24 frames per second the BDP-S6700 will output that signal to the TV (if the TV will accept the 1080p/24 format) with no need for conversion. Note: This player does not offer any analog audio/video outputs. 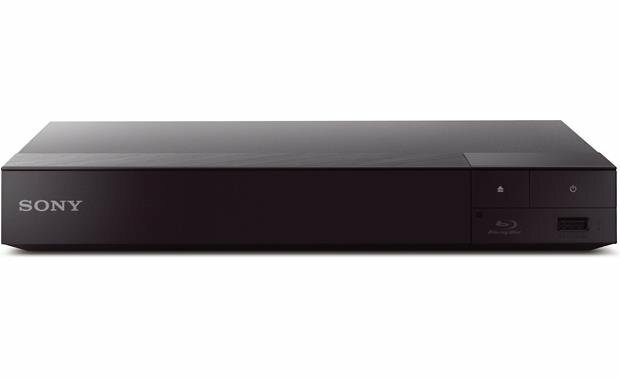 3D-Ready w/ 2D-3D Conversion: The Sony BDP-S6700 lets you enjoy 3D Blu-ray disc movies in full HD 1080p. 3D viewing requires compatible 3D content, 3D-ready HDTV, 3D emitter and glasses, and a high-speed HDMI cable (supporting at least 10.2 Gbps) connection. The Sony BDP-S6700 can also convert 2D (two-dimensional) video content into simulated 3D (three-dimensional) video when connected to a 3D-ready TV, with 3D-glasses. You can make adjustments to the 3D image depth. Advanced Color Technologies: The Sony BDP-S6700 Blu-ray player features Sony's proprietary Triluminos Color technology & Super Bit Mapping, as well as supports Deep Color. Triluminos Color: The BDP-S6700 incorporates Sony's Triluminos Color technology to provide a wider color gamut with rich, authentic color and a far more natural viewing experience with a heightened sense of depth. Super Bit Mapping: Super Bit Mapping reduces color banding by smoothing the gradation of video signals. 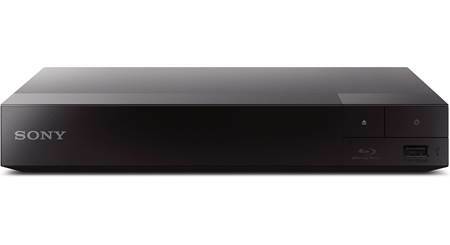 Deep Color: The Sony Blu-ray player supports a color depth of up to 12 bits. Connecting the player and a TV that supports Deep Color via HDMI allows more accurate color reproduction than when connecting it to a TV that does not support Deep Color. The Deep Color function can be set to 10-bit, 12-bit, 16-bit, Auto, or Off. Texture & Contrast Remaster: Texture Remaster adjusts the sharpness and detail of the edges, while Contrast Remaster automatically arranges the black and white levels so that the screen is not too dark and the image is modulated. Super Resolution + Smoothing: Super Resolution improves the overall resolution of picture. Smoothing reduces on-screen banding by smoothing gradations on flat areas. Clear Black: Adjusts the display of the dark elements of the image. All shading is not suppressed; it allows beautifully reproduced black tones. Noise Reduction: BNR reduces the mosaic-like block noise in the picture, MNR reduces minor noise around the picture outlines (mosquito noise), and I/P to enhance the picture quality of streamed network content. Cinema Conversion Mode: The Sony Blu-ray player offers two Cinema Conversion Modes - (1) Auto mode automatically detects whether the material is video-based or film-based, and switches to the appropriate conversion method. (2) The Video mode is suited for video-based material and will always be selected regardless of the content. Surround Sound Decoders: The BDP-S6700 has built-in Dolby Digital and DTS surround processors; multi-channel PCM Dolby Digital Plus, Dolby TrueHD, DTS-HD High Resolution, and DTS-HD Master Audio are output through the HDMI jack (when encoded on the Blu-ray Disc). Note: Dolby Digital Plus, Dolby TrueHD, and DTS-HD are only output via the player's HDMI output. Digital Music Enhancer: Breathe new life into your digital music with Digital Music Enhancer; a combination of three Sony audio technologies. DSEE (Digital Sound Enhancement Engine), Dynamic Range Recovery, and Advanced Auto Volume combine to restore detail and prevent volume jumps. The result is immersive sound and maximum impact for dialog, movies, and music. AV SYNC: Synchronize the picture and sound by delaying the audio output in relation to the picture output; 0 to 120 milliseconds. Digital Audio Outputs: The BDP-S6700 is equipped with a coaxial (RCA) digital output. The Audio menu allows you to select the digital audio format that is passed through the coaxial digital output. Settings allow you to transfer Dolby Digital and/or DTS sound tracks, or down-mix surround bitstreams to 2-channel PCM audio. Dual Core Processor: A powerful Dual Core Processor ensures fast, lag-free performance. Web pages load more quickly, movies and media such as YouTube videos stream faster, and playback appears noticeably smoother. Even navigation is quicker and more responsive, so you can enjoy a frustration-free entertainment experience. 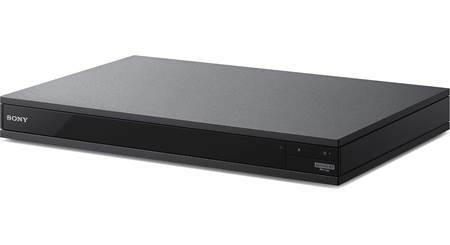 Wired or Wireless Network Connection: The Sony BDP-S6700 Blu-ray player supports a wired or wireless network connection. Via the Blu-ray player's network connection your can enjoy music, video, and still-image files stored on your computer. You can also listen to internet radio and watch online movies, via Bravia Entertainment Network. Ethernet (LAN) Jack: The Sony BDP-S6700 Blu-ray player is equipped with an Ethernet (LAN) RJ-45 jack for connecting the player to your home network and computer. 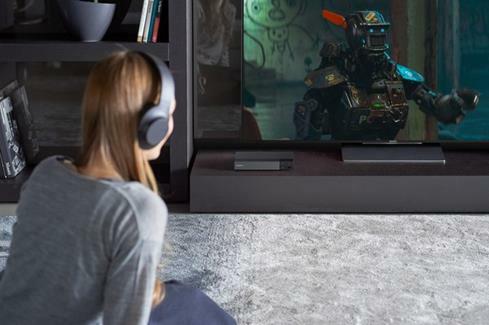 Built-in Wireless LAN: The Sony Blu-ray player also features built-in WiFi which allows you to wirelessly access the Internet and your home network. A new dual-band 2.4/5.0GHz WiFi module compatible with MIMO provides improved stability and speed performance for a better streaming experience. With this feature, you can easily connect to a wireless LAN and enjoy the benefits of networking in a cable-free environment. A wireless connection requires a home network with an 802.11 b/g/n access point (802.11n recommended) and internet connection. Supports WPS, WEP, and WPA security. Note: A home network speed of at least 2.5 Mbps is recommended (10 Mbps for HD content). Video quality and picture size vary and are dependent upon broadband speed and delivery by content provider. Online Entertainment Apps: Once connected to your home's network and internet provider, the Sony BDP-S6700 lets you access a variety online services consisting of TV shows, movies, videos, music, radio, news, sports, and more. Movies, TV Shows, & Videos: Netflix, Hulu Plus, Vudu, Amazon Video, Crackle, YuppTV, YouTube, & more. Music & Radio: Pandora, iHeartRadio, SiriusXM, Qello, Berliner Philharmoniker, & more. News & Sports: Fox News, TMZ, MLB.TV, NBA Game Time, & more. Note: Online content may require additional fees and/or PC registration. Available online content is not available in all regions and may change without notice. PlayStation Video: Sony's PlayStation Video (previously named Video Unlimited) is the ultimate source for the latest Hollywood blockbusters, all-time classics, and TV shows from almost every major studio. When you sign up for a free account you can browse the available titles, check prices, and watch trailers and previews. You'll then be able to rent or buy videos from Sony's constantly updated range of movies and TV shows in SD or HD. Opera TV Store: The Opera TV Store provides a collection of additional downloadable web apps that are optimized for TV viewing. These apps range from movies, TV shows, games, music, sports, lifestyle, technology, kids, nature, travel, news, & weather. Spotify Connect: With the Spotify app on your Apple (iOS 7.0+) iPod/iPhone/iPad or Android smartphone/tablet, you've got instant access to millions of songs. And now you can stream those same songs from your smartphone to the Sony Blu-ray player by using Spotify Connect; simply hit play on the app to start streaming music. What's more, when you've been listening to Spotify on your smartphone outside and come inside, the song immediately begins to stream to the speaker system for uninterrupted music enjoyment. You can also personalize playlists and receive phone calls while listening to music. A Spotify premium account is required. Miracast & WiFi Direct: Miracast is a "screen mirroring" function which lets you wirelessly send the display from your compatible Windows 8.1+ or Android 4.2+ device (with support for Miracast) through the Blu-ray player and to your TV. This allows you to view pictures and videos that are playing on your compatible Windows or Android device on your TV screen. And thanks to WiFi Direct, no wireless router or access point required. DLNA Certified: DLNA certification allows you to enjoy various content from your home network, such as photo (JPEG/PNG/GIF), music (MP3/WMA/WAV), and video (AVCHD/MPEG/WMV/XVID) files stored on your Windows 7/8 PC (or other DLNA Certified media server/Android device) through the Sony BDP-S6700 - up to 999 files/folders. 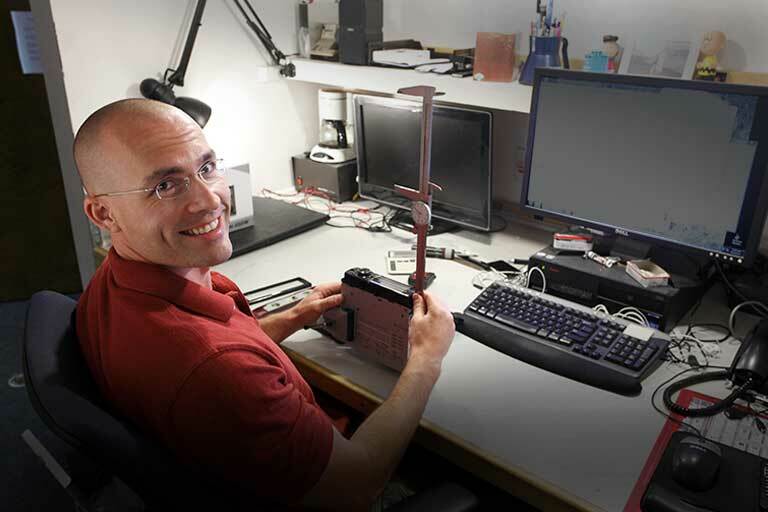 The Blu-ray player can be connected to your compatible PC using a hardwired Ethernet (LAN) connection or WiFi connection (via built-in WiFi). This eliminates the need to copy your photo, video, and music files to a separate USB storage device. SongPal Link & App: Download the SongPal app onto your Apple (iOS 7.0+) iPod/iPhone/iPad or Android (OS 4.0.3+) smartphone/tablet and enjoy multi-room audio streaming and functionality between your SongPal Link compatible Sony devices, over your home's WiFi network. Use the SongPal app to group SongPal Link compatible Sony soundbars and speakers to the Blu-ray player, then stream music from your favorite CD, a USB thumbdrive, Internet radio, a PC, or your DLNA network in multiple rooms throughout your home. Gracenote Metadata Service: The Gracenote metadata service instantly gives you access to detailed information about the movies you are watching through the Blu-ray disc player internet connectivity. This easy-to-navigate service displays information such as cast information, genre, jacket art and more right on the TV screen. BD-Live: BD-Live technology allows you to download and stream bonus content such as additional scenes, shorts, trailers, movie-based games, and more from a broadband Internet and home network connections (fees may apply). The Sony Blu-ray player features an Ethernet port to connect to the Internet via your home network and features front-panel USB port for additional storage. Quick Start: Quick Start speeds up the load time on movies, so discs start faster after they're inserted into the Blu-ray player. The Sony Blu-ray player has a start-up time of approximately 0.5 seconds in Quick Start mode (16.3 seconds in normal mode). In Quick Start mode, it takes approximately 15.7 seconds for a Blu-ray disc to begin playback (41.1 seconds in normal mode). Note: The Start Up/Play Back Time tests were started with the Blu-ray player initially turned off and in standby mode. The Start Up Time test was stopped when the player's Home Menu screen appeared. The Play Back Time test was stopped when the Blu-ray disc began playback. On-Screen Display: The Sony BDP-S6700 provides an OSD via its HDMI output. The on-screen text can be set to English, French, Spanish, or Portuguese. The unit does not offer a front-panel display. Parental Control: The Sony BDP-S6700 offers Parental Control settings to limit BD, DVD, and streamed Internet video according to the age of the users. You can also Allow or Block all unrated Internet video. The control settings are protected by a custom 4-digit password. You can also lock the disc tray to prevent it from being opened by mistake. 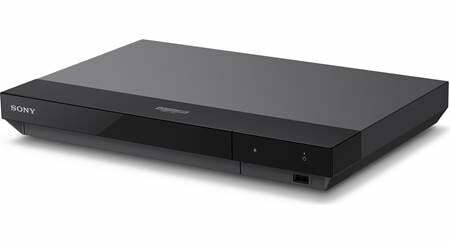 Energy Star Compliant: The Sony BDP-S6700 Blu-ray player meets Energy Star standards. Electric power consumption is significantly reduced during both use and standby. Multi-brand Remote: The supplied remote operates the Blu-ray player and a Sony TV's power on/off, input select, and volume up/down. 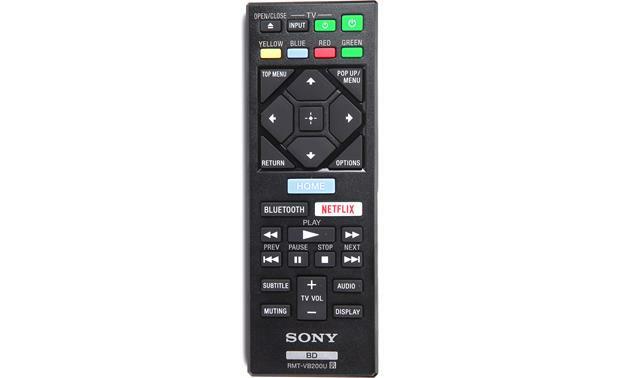 The remote even has a dedicated Netflix button for immediate access to your Netflix movies. The remote is also pre-programmed with power, input, and volume controls for several other brand TVs. Video & TV SideView App: With Sony's free Video & TV SideView App, you can control the BDP-S6700 Blu-ray player and browse its content from your Apple iPod touch/iPhone/iPad (8.0+) or Android smartphone/tablet (4.1+). Simply download this app from the Apple's App Store or Google Play Store. The Video & TV SideView App will allow your compatible Apple iOS or Android device to act as a remote control and software keyboard for the Sony Blu-ray player. You can also view disc information and search for Sony Bravia Internet apps from your compatible mobile device. 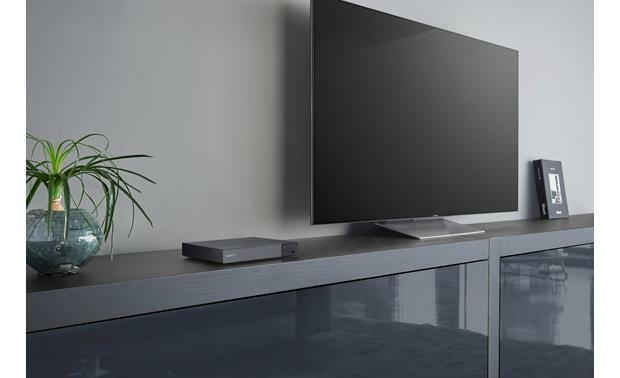 Note: The Sony TV SideView App requires that the Sony Blu-ray player and your Apple iOS or Android device be connected to the same compatible network with the remote device connected through an 802.11 access point (802.11n recommended). USB Keyboard Compatible: The Sony Blu-ray player also supports the connection of a USB 101 keyboard, which makes web browsing simpler. Bluetooth Music Streaming: The Sony BDP-S6700 offers built-in Bluetooth (version 4.1) with support for A2DP 1.2 and AVRCP 1.3, so you can stream the audio of music and movies from the Blu-ray player to a Bluetooth-enabled speaker or set of headphones (sold separately). In addition to support for the standard SBC Bluetooth codec, the BDP-S6700 supports Apple's AAC codec and Sony's LDAC codec. With LDAC technology you can stream without compromising on quality, up to 3x the bandwidth of regular Bluetooth. do all connecting cables come with this blue ray player and and manual or instructions on connecting to desk top computer? You realy want to gave a HDMI cable and that does not come with it . Unless ir is an older TV with no HDMI connection . Then you can use the RCS jack plugs that are included . Does the Sony BDP-S6700 have the option to change the SRT subtitles size when playing a AVI or MKV video file (via a external HD drive connected to the USB port) like the Samsung models? Thanks! Does this player has the option to change the subtitle size when playing a video file (via a external HD drive connected to the USB port) like the Samsung models? Never tried this option. But searching and navegating didn't found a clue. Does this have a built in tv tuner? No. It does not have a tv tuner built in. It does connect to your tv via HDMI. It also connects to the internet and can receive streaming from a huge number of sources. It also has DNLA capabilities so you can connect to a home network (we play all of our music and videos through this feature using the Serviio app). It's does not have TV tuner. Will this player support dts x blu rays? In other words, will you get dts x audio if sent to a receiver that has dts x capabilities? It will but you will need a A/V THX and DTS. Mine is an Onkyo. It's handles Dolby True HD and DTS HD Master Audio of course, as well as MP3, AAC, WAV, FLAC, ALAC and DSD. On the video side you can play MKV, WMV and AVCHD via WI-FI and USB. the player will work with any player with dts input on the receiver . I have mine running into an LG 3D TV and that goes into a soundbar but I'm sure if you have a compatible receiver you can run the Sony BDP-S6700 into it and then out to surround sound - hope that helps! I think any DVD/Blu-ray player would "hook to a surround sound system. " can you be more specific about what your concerns are? Yes. Connect a high-speed HDMI cable from the BDP-6700 to your AV receiver and then, from your AV receiver, run a second HDMI cable to your TV. 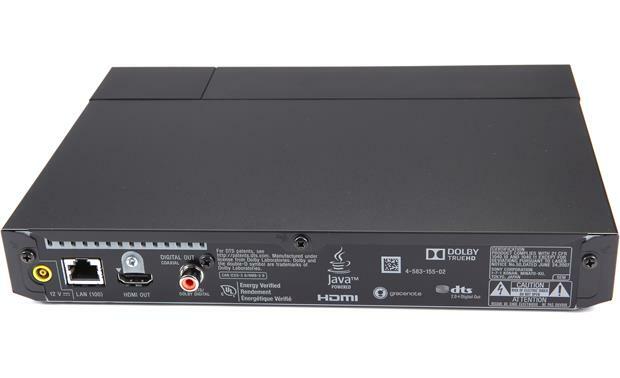 If using an audio only surround receiver, you can connect the BDP-6700 to it via a coax digital cable while sending the video to your TV directly over the HDMI cable. You will need to set the appropriate menu items on all three components (BDP-6700, AV (or A) receiver, and TV) to reflect the setup that you are using. Sorry. Don't know. Crutchfield's Tech advisors should be able to answer this. It has an HDMI out. That plugs into any HDMI input on a surround sound recieiver. It will send whatever audio program that is encoded on whatever DVD or blue ray disc in the player. I use 5.1 surround, both DTS and Dolby digital discs on this player. HDMI contains both high definition video and surround sound audio in the same cable. Hope this helps. Can I connect sony bluetooth headphones mdr-xb650bt to a tv with bluetooth and this bluray player also? I'm not sure about the tv; although, it makes sense because I cam connect my Bose wireless to the Sony 6700 and my Denon receiver. Where was it made? China or Malaysia? It's not shown on the unit. Country of origin is listed as Malaysia. With the two way blue tooth it will also play to blue tooth speakers as well as head phone right? I have been able to connect both my blue tooth headphones and my blue tooth speaker to the BDP-6700 (although not at the same time). I have been unable to get the blue tooth to connect the other way: that is, I cannot get my smart phone to broadcast to the BDP-6700 via blue tooth - but using Miracast, I am able to play content from my smart phone through the BDP-6700. I HAVE NOT TRIED TO USE EITHER ONE. MY SPEAKERS ARE WIRED THROUGH A DENON RECEIVER 2200. I HAVE NOT TRIED THE BLUETOOTH HEADPHONES. I AM SORRY THAT I AM UNABLE TO ANSWER THE QUESTION. 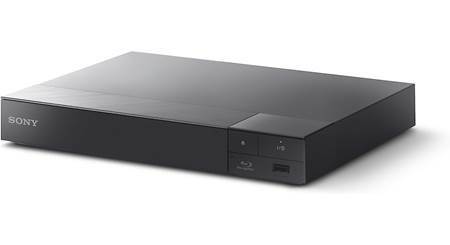 Searches related to the Sony BDP-S6700 3D Blu-ray player with 4K upscaling, Wi-Fi®, and Bluetooth®.